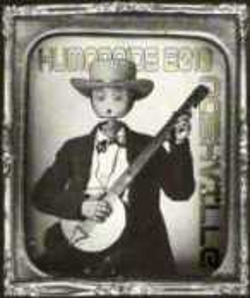 The workshop is held at Humanoids 2010 in Nashville on December 7th, 2010. This is a full day workshop (number WS1, Session TA-I, Room 6B - see conference program). 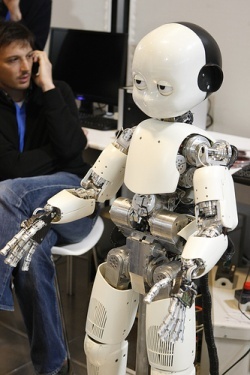 The iCub is a humanoid robot shaped as a child of about four years of age available as an open systems platform following the GPL license. 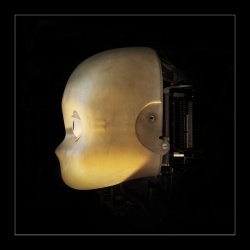 The iCub was originally designed by a European consortium of 11 partners as part of the activities of the RobotCub Integrated Project funded by European Commission through its Cognitive Systems and Robotics Unit . 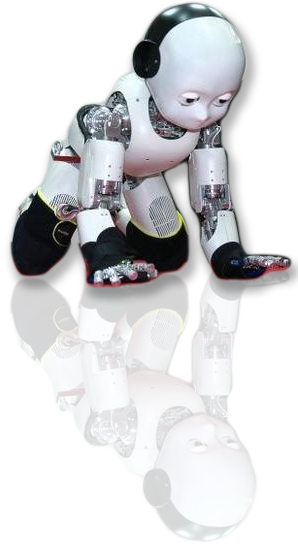 Physically, the iCub is powerful enough to crawl on all fours and sit up. Its hands allow dexterous manipulation and its head and eyes are fully articulated. It has visual, vestibular, auditory, and haptic sensory capabilities. To facilitate the adoption of iCub as an open research platform, the RobotCub project launched a call for proposals in the area of cognitive humanoids and the selected seven proposers received a complete iCub free-of-charge. More recently other groups joined this initiative by building their own iCubs, e.g. the ITALK, ImClever, Roboskin, CHRIS, Poeticon EU funded projects to name a few. This workshop aims at presenting the iCub-related activities spanning aspects from software development, control, vision, cognition and hardware, sensors and so forth. A similar workshop was held in January in Sestri Levante (Italy) and at IROS 2010 in Taipei. Human intelligence develops through the interaction with the environment and it is shaped profoundly by the interactions with other human beings. These concepts altered in a fundamental way the relation between fields such as neuroscience, information science, psychology, and robotics which are now learning from each other and together are building a new interdisciplinary science. As such, the study of artificial cognition and intelligence is dependent on the use of physical bodies, and, ultimately, on the use of humanoid robots. Humanoids are essential tools in the study of human intelligence: since the development of cognitive skills is function of both neural and physical activity, it is important to simulate human action when investigating learning, adaptation, anticipation, reasoning, memory, communication, and language to name a few. The iCub humanoid platform represents an important opportunity to move this research agenda forward: through open collaboration, on the common theme of embodied cognition, enabled by a shared humanoid platform and supported by a community capable of delivering on this vision in the long run. The availability of a common platform, such as the iCub, allows benchmarking and testing theories by comparing results obtained using different method and, more importantly, it enables the accumulation of results into a common “repository” shared among scientists. This paves the way to a more scientific approach to intelligence for robots by enabling researchers worldwide to access the same experimental facilities. Our goal is to present a broad overview of these activities which have now reached a consistent critical mass. In particular, for this second workshop about the iCub, we would like to stress some of the aspects enabling collaboration, software sharing, and the technical means that can make robotics more prone to benchmarking and testing. We will discuss tentative steps to be taken in order to foster accumulation of knowledge both in mechanical design and cognitive software development. Title: Vision and Spoken Language Based Interaction for Learning New Actions and Shared Plans. Title: Humans interacting with Humanoids: A Threefold Challenge for Software Engineering in Cognitive Robotics. Title: Domain-driven Design of a Compliant Robot Control API. Title: Learning and Using Affordances. Title: Programming by demonstration on the iCub platform. This workshop has a broad audience by showcasing cutting edge humanoid robotics. In particular, it can be informative for researchers interested in joining the iCub community or more in general interested in open source development. 18.00-18.20 Concluding remarks, discussion about a special issue, next workshop at ?? This workshop is organized under the support of the EU projects ITALK, CHRIS, Poeticon, eMorph, RoboSKIN, and the Marie Curie doctoral network RobotDoc. Borisyuk R., Kazanovich Y., Chik D., Tikhanoff V. & Cangelosi A. (2009). A neural model of selective attention and object segmentation in the visual scene: An approach based on partial synchronization and star-like architecture of connections. Neural Networks. 22, pp. 707-719. Fitzpatrick, P., Metta, G., Natale,L. Towards long lived genes. Robotics and Autonomous systems, 2008. 56(6): p. 29-45. Metta, G., Fitzpatrick, P., Natale, L. YARP: Yet Another Robot Platform. International Journal of Advanced Robotics Systems, special issue on Software Development and Integration in Robotics, 2006. 3(1): p. 43-48. Nosengo N.. "Robotics: The bot that plays ball" Nature Vol 460, 1076-1078 (2009) doi:10.1038/4601076a. Tikhanoff V., Cangelosi A., Fitzpatrick P., Metta G., Natale L. & Nori F. (2008). An open-source simulator for cognitive robotics research: The prototype of the iCub humanoid robot simulator. R. Madhavan & E.R. Messina (Eds. ), Proceedings of IEEE Workshop on Performance Metrics for Intelligent Systems Workshop (PerMIS’08). Washington, D.C. This page was last edited on 8 December 2010, at 06:42.